Instagram has begun to rollout its new Stories feature and the world is wondering how they could have so blatantly ripped off Snapchat. 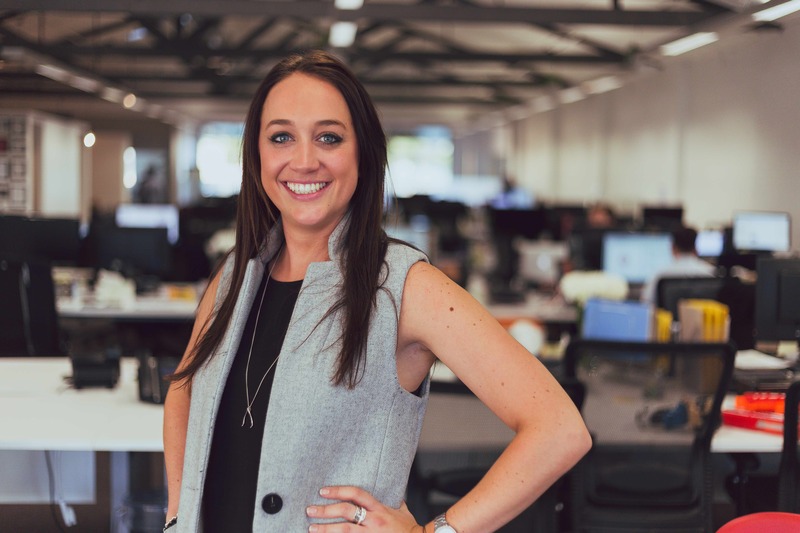 Sophie McAulay, Content Specialist at online marketing agency Web Profits, helps you figure out what Instagram’s latest move mean for marketers and how will it affect brand’s social media strategies. Instagram’s move into the more immediate mirrors a trend being adopted across social media. Facebook’s Live video has become more accessible and Twitter signed a deal with the NFL to show American football live. And with Snapchat now reported as having 150 million daily users, it’s clear that people are relishing the move towards real-time content consumption. It’s perhaps unsurprising then, that Instagram’s glaring replication of some of Snapchat’s features hasn’t stopped users from rushing to test it out, with some already figuring out how to use Snapchat’s much-loved filters on the Stories platform (hint: save your Snapchat story). So how will businesses put their own spin on Instagram’s latest offering? Will the immaculately styled content of their regular Instagram content translate to Stories? And are brands which are increasingly piling into Snapchat, some with half-baked strategies, now going to rethink and devote investment to a platform and a community they have been nurturing for much longer? Instagram Stories has already been called ‘Snapchat for adults’, and there are certainly differences that will remain between the two platforms, with Instagram seen as the more mature, creative, design-led platform and Snapchat more raw, relaxed, and fun in tone. In particular, brands who are yet to implement a solid Snapchat strategy will likely feel relieved – they can invest their content-sharing efforts in Instagram without feeling compelled to branch out to an entirely new platform. The time, effort and money invested in growing, nurturing and engaging Instagram followers will also surely play a part in the process of deciding which platform to leverage. Considering the obvious limitations of Snapchat’s friend growth capabilities, marketers will be looking for opportunities in terms of branding, awareness and overall campaign virality. Others, who’ll be less quick to pronounce the death of Snapchat, will point out the features that Instagram’s version of Stories doesn’t replicate – yet. 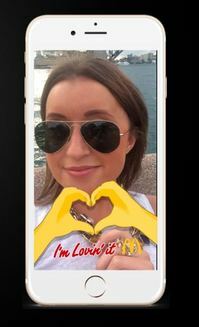 Snapchat still offers the ability for brands to advertise in a unique and creative format, rather than simply slipping ads into users feeds. Publishers like Mashable, BuzzFeed, and the Daily Mail, as well as some sports leagues, are producing daily content for Snapchat’s branded content platform the Discover Network. 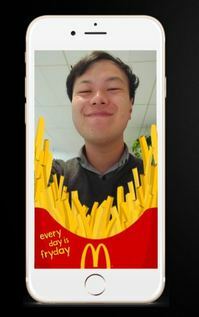 Brands can also advertise through sponsored geofilters (like McDonald’s did with their ‘Maccas run’ filter), which fit in with consumer’s usage of the platform in a way that doesn’t feel like an intrusion, but rather, an opportunity to participate and engage with a brand through a natural activity. For now, brands will continue to use Snapchat for these original features, but we’ll also see them testing out Instagram Stories. They’ll begin to use Stories as an opportunity to enhance their carefully curated Instagram feed with sneak peeks of the more human side of their company, reserved for their most committed followers. With real-time capabilities and creative campaign opportunities now enabled, it’ll be interesting to see how brands integrate this feature within their marketing efforts. An image posted of an event on Instagram may now contain a note to ‘see more in Stories’, where brands have the opportunity to pull back the curtain and offer an insight into the imperfect, behind-the-scenes footage and photos that complement their more styled, artistic shots. With Stories appearing in a row at the top of the main feed rather than on a separate panel, these kinds of posts will slot in ever-so-simply with a platform that people are already using regularly. And with Stories sorted by who you interact with most, brands will also enjoy having the opportunity to post more regularly without fear of overwhelming people’s feeds. Certainly this seems like an exciting opportunity to engage and connect even more with Instagram followers, who’ll likely start to feel the need to check in with Instagram more regularly to avoid missing out on something fleeting but arguably more exciting. It increases the urgency of the platform in a way that’ll see it go from strength to strength as a platform for brands to use for marketing. Whether that means that in the long run they’ll ditch Snapchat entirely remains to be seen, but it is clear that Snapchat now has a contender that it will ignore at its peril.